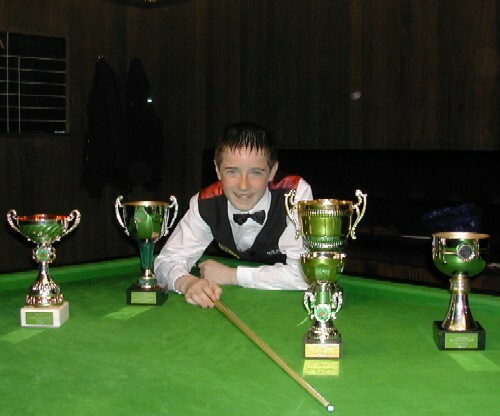 Dale Branton capped a successful season by winning the West of England Billiards & Snooker Foundation’s (WEBSF) Regional Bronze Waistcoat Tournament for the under 15’s. The twelve qualifiers enthralled onlookers at the Victoria Snooker Centre, Plymouth, as they fought for the title. 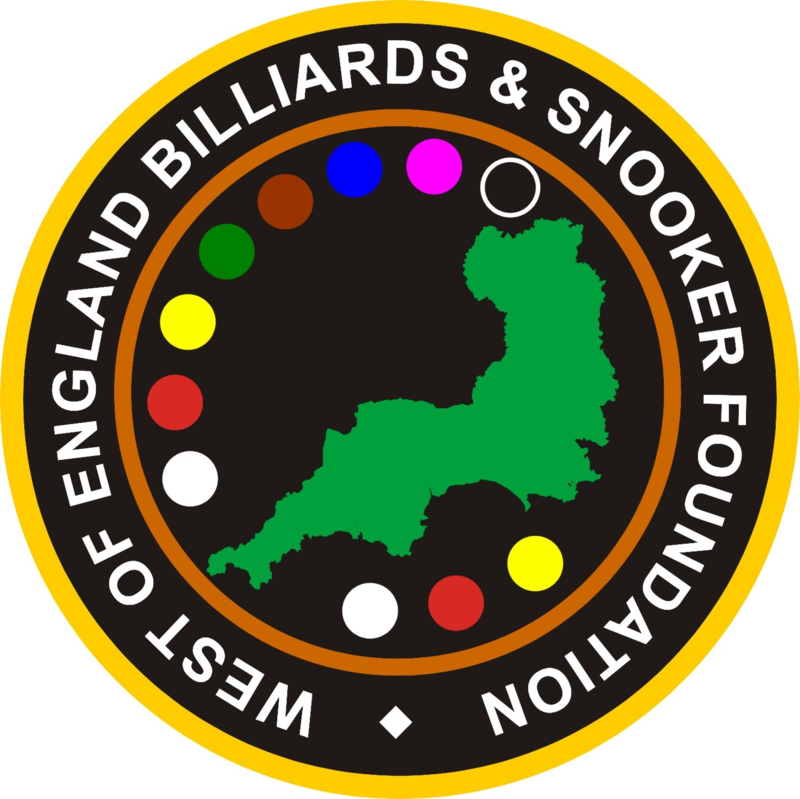 Qualification was achieved by finishing in the top four places of each of the highly successful WEBSF Bronze Waistcoat Tournaments held in Plymouth, Redruth & Exeter. The tournament is open to members of the WEBSF that are under 15 years. Thirteen year old Branton (Plymouth) defeated the Redruth Bronze Champion Shaun Wills 2 – 0 in a very tough final. The final was well supported by players and parents who were treated to a hard fought and tense match that brought many a gasp and applause. Both players demonstrated great touch and understanding of the game, way beyond their years. The excitement was high and Branton revelled in the limelight producing some prolific potting, for which the youngster is fast becoming renown for, to win the match and the title. Despite the score-line the players are evenly matched and no doubt will meet time and again in finals. In the semi-finals Branton had to fight hard against the much fancied James Freeman (Helston) However, Branton held his nerve after going one down to come through a worthy 2 – 1 winner. The other semi-final saw Shaun Wills (Redruth) dispose of another favourite Daniel Hine (Exeter) 2 – 0. Hine recorded the highest break of the Bronze Waistcoat tour an impressive 43. The Cornish contingent proved very strong with all four players qualifying for the quarter finals stages. In an all Redruth match Wills defeated club mate James Stewart 2 – 0. Group A winner Freeman beat Paul Johnson (Plymouth) 2 – 0 in their quarter final tie. Old adversaries Branton and Daniel Bellamy (Plymouth) where drawn against one another. Branton turning over his arch rival 2 – 1. The last quarter final was between Hine and group B winner James Stephens (Redruth). Hine winning 2 – 0. In the group stages Freeman finished top of group A losing only one match to Aaron Seldon (Exeter). Seldon failed to qualify to the knockout stages, as did Jacob Stokes (Plymouth) both found the going hard but are ones to watch for the future. In this group losing finalist Wills rattled in an array of breaks (19, 20 and a 22 clearance) in one frame. With four places up grabs, there was a three way tie for second place. Using the WEBSF formula to separate the players for seeding purposes, Wills made the runner up spot Bellamy third place and the fourth and final spot went to Hine who recorded a 23 break. In group B Stephens player very well only dropping one match to Stewart. There was another three way tie for second place in this group. As in group A the players where separating for seeding and Branton came out runner-up, third place went to Stewart and the final qualifying slot went to Johnson who recorded a break of 20. Luke Clapp and Danny Gibson both from Exeter where unlucky on the day and failed to progress to the knock-out stages.